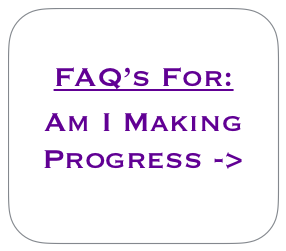 Negative indications that you are making progress? For many of us walking this healing pathway towards light, whilst it is empowering and beautiful from one angle, it can be also very difficult and challenging from another as we start to encounter more and more darker parts of ourselves. We note here that these more negative thought forms or darker energies are required to be released from our consciousness so that true healing can take place. As we release our darkness, we allow more space in which to receive love, growth and understanding. This is generally the healing cycle which so often repeats itself. As we move from cycle to cycle we often find that our healing is being done at a deeper level, something which is both very good and sometimes not so nice. Generally speaking, we see firstly the vibrational uplift through the attunement & healing practices. Then, as the vibration raises further, it stirs, shift or brightens up our energy with the result of releasing old unwanted energies from our energy field. And as we are in the process of releasing these, it is normally required that we feel an imbalance as they are coming out. Sometimes this may be physical feelings, perhaps old symptoms or it can be mental or emotional type feelings that we will feel as the energies are being released. Because of this, when we are doing strong or ongoing healing practices, especially at this time of global purging, we can often feel that we are going backwards on our spiritual path. It is almost like we move from one healing issue to another again and again and in this way we can start to feel like there is nothing but ongoing suffering coming to us. Shouldn't we be moving closer towards light? It is at these times that it helps to remind ourselves that this purging from within is exactly what we need to move to higher and more harmonious vibrations and this will be especially so for those of you who are doing deep healing work. To transition into this new vibration of love we are required to quite literally re-wire all of our energies; re-establish who we truly are as we move towards a new unified perspective of our being. And to reach this new understanding, it is almost certain that you must move through and face much of your own darkness. We are very sorry but there doesn't seem to be any other way to move towards the light than to purify much of your older and darker energies from within. So with this in mind, please be reassured that feeling like you are going backwards is totally and utterly normal when you are going forwards. And even after years and years of our own healing, we are still now faced with feelings of doubt, fear and a lack of love when confronted with difficult circumstances such as physical pain, emotional outbursts and the like. So let us share with you here that this is all part of the process of transitioning from the old into the new, something which we are discovering takes both time, effort and in many cases emotional and physical suffering. 1) You can feel much more of your darkness (both in meditation and as you go about your daily in life). 2) A healing crisis may present itself - the higher you move towards light the more intense your purification will be. This purification can disguise itself in a whole array of different ways. Please refer to our healing crisis FAQ's for more information about this. 3) The healing crisis can start to become more intense as you move higher in vibration i.e. literally 'ringing out' the darkness from within. ​This is often combined with a heightened awareness of this as we move closer towards light. 4) You have more awareness about your negative actions which may sometimes result in some judgement of ourselves. The best policy here is love and patience as we learn, grow and transform.